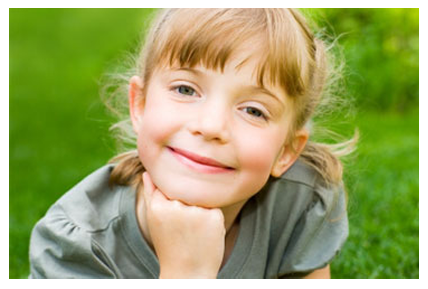 The aims and objectives of the Scottish Association for Cleft Lip and Palate Charity (SCO32668) are to ensure that Scotland contributes to research into the cause of cleft lip and cleft palate and to assist with improving the quality of cleft care. 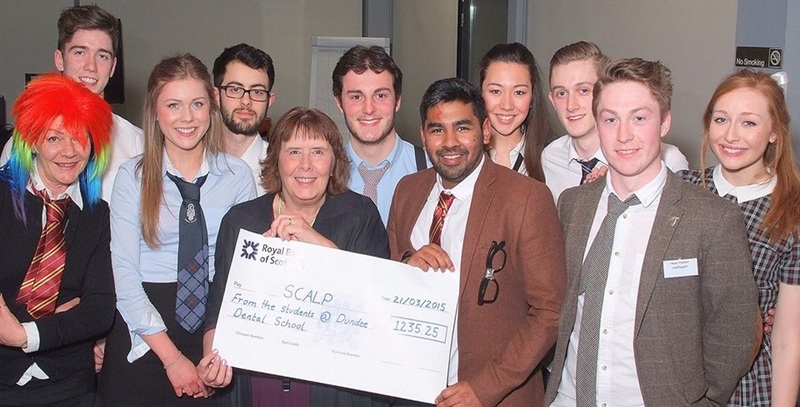 With your help SCALP will continue to contribute to both the drive for prevention and to improve the quality of life for those children who are born with this condition. You can help Scotland's cleft charity in its ultimate aim to reduce the number of children born with cleft lip & palate by supporting research into this area in Scotland. You can help through a group, a company, a trust, a school, or just volunteer by participating in an event. However you choose to help, your support will be of great value. “We hope that families who are affected by cleft lip or palate take some comfort from the fact scientists are making important inroads into understanding this common condition. But if the funding isn't available, breakthroughs like this won't happen”. You can donate now, securely and simply through a credit or debit card or by PayPal. 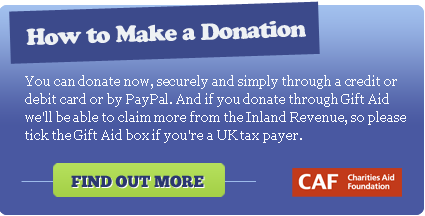 And if you donate through Gift Aid we'll be able to claim more from the Inland Revenue, so please tick the Gift Aid box if you're a UK tax payer. NEW CHAIRPERSON AND TREASURER FOR SCALP On the 1st April 2017, Dr Felicity Mehendale took over the post of Chairperson of SCALP and Dr Marilou Ciantar as Treasurer. 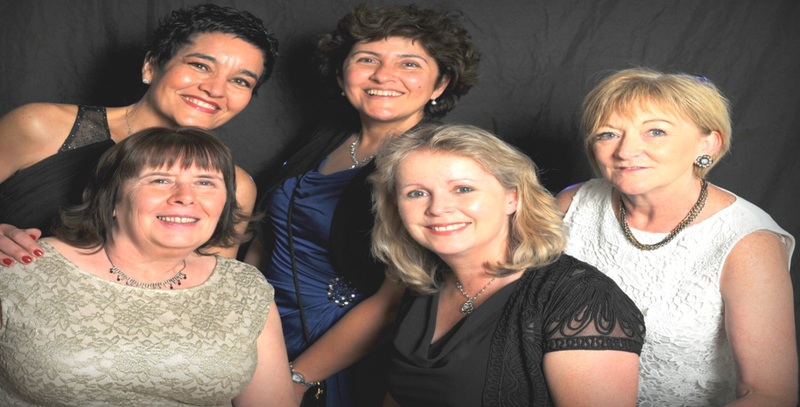 We are looking forward to working with Dr Mehendale and Dr Ciantar to raise the profile of SCALP and raise funds for research and education into the cause of orofacial clefting. Our sincere thanks to Professor Ashraf Ayoub, past Chairman and Professor Peter Mossey, past Treasurer, for their major contribution to the setting up of SCALP and involvement in fundraising events over the past 15 years. ABERDEEN KILTED HEROS SCALP is very thankful to the 'Kilted Heroes' from Aberdeen who took part in the Aberdeen Kilt Walk 2018 . They raised a total of £645.40 for SCALP - well done guys - much appreciated!! 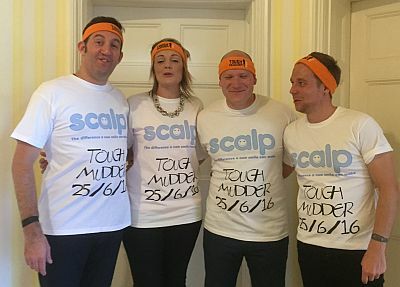 COLIN, LORRI, RITCHIE AND MATTHEW COMPLETE A TOUGH MUDDER CHALLENGE FOR SCALP Colin Rowley, Lorri Graham and Matthew Powell from Dron & Dickson in Stirling completed a 'Tough Mudder Challenge' on Saturday 25th June 2016 and have raised a staggering £3300. We would like to thank them for choosing SCALP and wish to congratulate them on their achievement. "Every 11 minutes a child is born somewhere in the world with a cleft lip and palate." 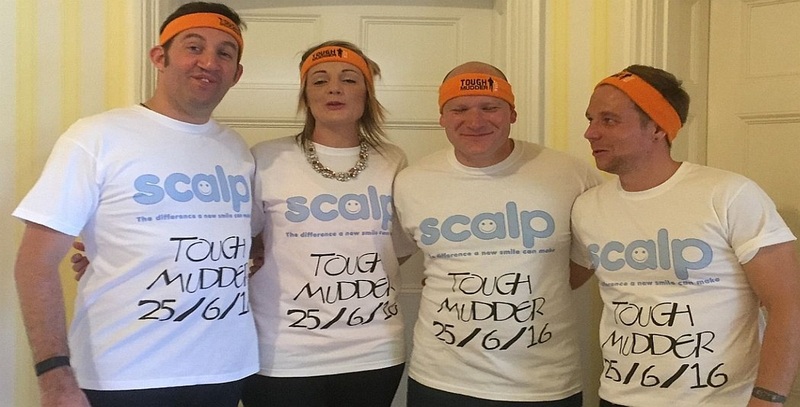 Rowley, Lorri Graham and Matthew Powell from Dron & Dickson in Stirling completed a 'Tough Mudder Challenge' on Saturday 25th June 2016 and have raised a staggering £3300. We would like to thank them for choosing SCALP and wish to congratulate them on their achievement. Come and join us for a 'Retro Night' on Saturday 6th May 2017 at Perth Racecourse. It will be a night of fun and fundraising. Two course supper included in cost of ticket - £30. 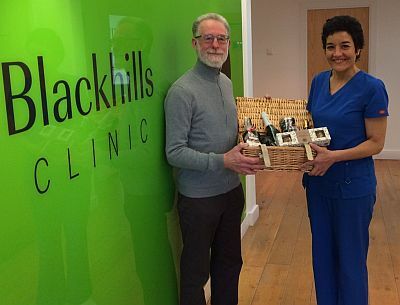 Contact: trudie@blackhillsclinic.com for tickets or further information. 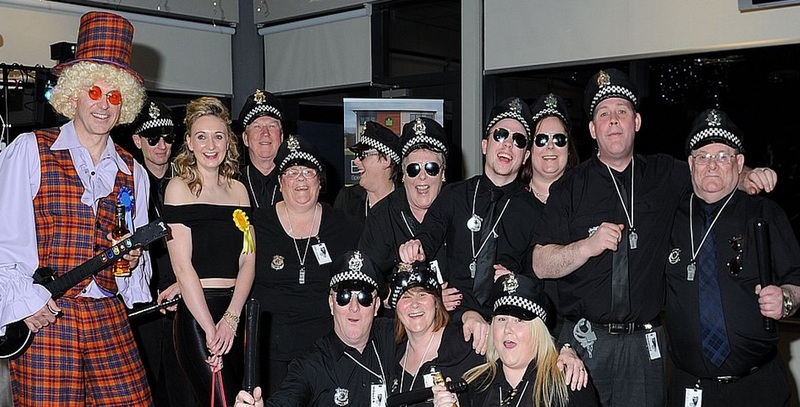 Fancy dress optional - Get those boogie shoes on! !